You are currently browsing the tag archive for the ‘Go-to Sketches’ tag. Welcome to Magazine Monday! Did everyone have a good weekend? I hope you found some time to 1). go out and buy our new special issue Go-to Sketches, 2). sit down and devour this magazine and 3). create your own projects from some 66 inspiring sketches. If you did get crafty this weekend, why not submit some of your entries? Just a reminder that our submissions deadline for our Holiday Cards & More, Volume 5 issue is tonight at midnight (MDT). Click HERE for more information! Even though our Go-to Sketches Week is officially over, I’m going to squeeze in one more day of sketch-filled fun. Three weeks ago we launched our first ever Go-to Sketch Challenge. With sketches from Paper Crafts Go-to Gals Teri Anderson and Maren Benedict as inspiration, submissions poured in for all occasions. We picked these four entries (two per sketch) as our final winners! 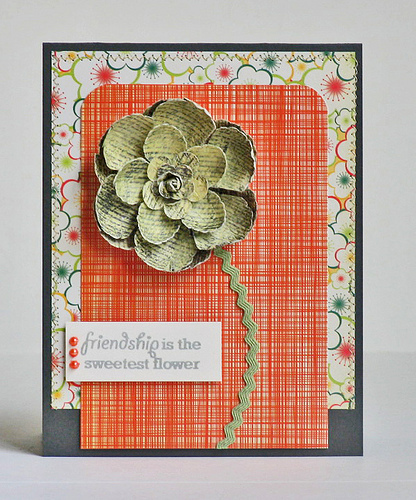 Cindy Holshouser's Sweetest Flower Card is a direct interpretation of Teri's sketch (Go-to Sketches, p. 9). 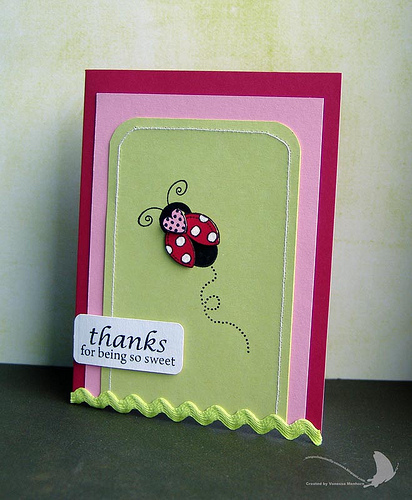 Vanessa Menhorn also used Teri's sketch to create this delightful Ladybug Thanks Card. 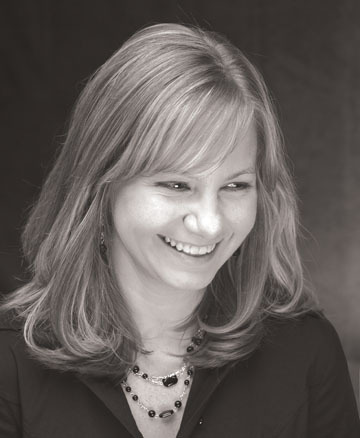 Editor’s Note: Vanessa was just published for the very first time in our May/June 2010 issue! Not only that, her Rainbow of Butterflies Card (p. 74) made the cover! Click HERE to see cover girl Vanessa literally jumping for joy when her issue arrives in the mail. 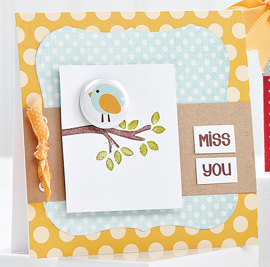 Nicky Hsu felt inspired to create her Welcome, Little One Card from Maren's sketch (Go-to Sketches, p. 33). 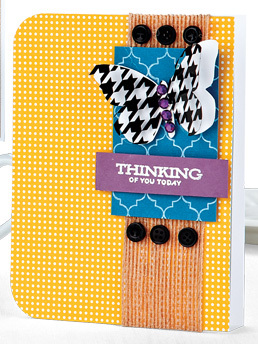 Rosemary Dennis also used Maren's sketch to create her You're So Thoughtful Card. Congratulations, ladies! Each of you has won either a one-year subscription to Paper Crafts or the special issue of your choice. I’ll be contacting you shortly to discuss your prizes. If you’re interested in seeing all the projects from our first Go-to Sketch Challenge, please visit our gallery HERE. Wanna join the fun and participate in our next challenge? We just launched our bling-inspired April Gallery Challenge last Monday. This two-week challenge will run through midnight (MDT) on Monday, April 19. Click HERE to upload your sparkly entries today! P.S. It’s time to announce each of the three winners from Cath’s Go-to Gals & Friends Blog Hop post, Kim Kesti’s Over the Top Inspiration post, Jennifer’s Behind the Lens post and my It’s a Sketch World After All post! Congrats, winners! You’ve each won a copy of Go-to Sketches! I’ll be contacting you shortly to get your mailing addresses. Thanks to all who left comments! Welcome to Freebie Friday! Is this exciting week really over? Say it isn’t so! While all good things must come to an end, we hope you’ve been inspired by the amazing sketches and projects we’ve featured this week. If anything, maybe it’s jump-started your creative battery and you’ve found yourself viewing sketches in a whole new light. Because let’s face it…the possibilities are endless! Like Jennifer mentioned yesterday, we do often get caught up in “magazine” time, which is usually 6-7 months ahead of “real” time. Being able to read your comments and see the blog traffic (thank you, by the way!) is thrilling for us because we get to relive the fun of putting together Go-to Sketches. And as you’ve seen from some of the behind-the-scenes photos this week, a good great time was definitely had by all! 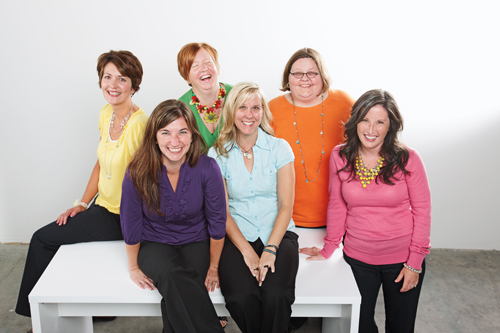 Speaking of “all”…we must thank our fabulous Go-to Gals for all their hard work this week. Someone referred to them as the “Go-to Geniuses” and I think this is an accurate description. (And if we ever get tired of the Go-to Gal title, we’ve got a something else to consider!) We’re gathering for another editorial board meeting in a couple of weeks, and I can’t wait to see my sweet GTGs! Okay, I’ve rambled long enough…you know it’s Friday, you know it’s coming…”What’s Kelly giving away today,” you ask? Well, I’ve got a special treat for all my Paper Crafts Connection peeps. 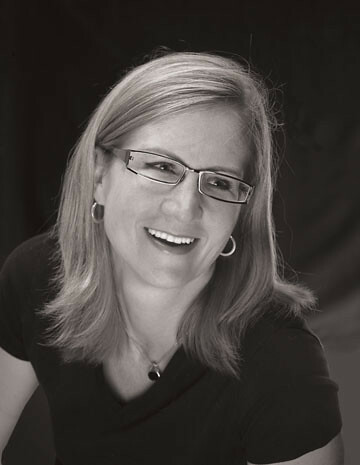 On Moxie Fab World this week, Cath mentioned our exclusive Go-to Sketches sponsor: Doodlebug Design. In addition to creating some adorable ads for this special issue (in which they used their product to create projects from our sketches! ), they took it one step further and are now offering the Go-to Sketches Card Companion Kit. 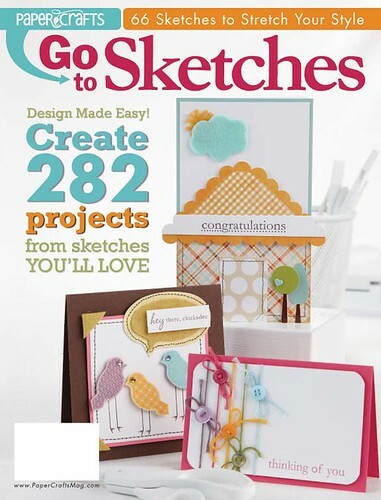 This kit allows you to make ALL 18 Doodlebug cards that are featured in Go-to Sketches. And I’ve got three kits to give away to three lucky winners! PLUS, each winner will receive TWO copies of Go-to Sketches! One to keep and one to give to a friend! All you have to do is leave a comment naming a new blog you discovered from this week’s blog hop. All comments must be received by midnight (MDT) on Sunday, April 11. Three lucky winners will take home this fun prize package! P.S. The sketch fun continues on Monday when we spotlight the winners from our first ever Go-to Sketch Challenge! We picked two winners per sketch, so stay tuned to see which four projects really impressed us! And if you feel like participating in Cath’s Go-to Sketches Week Challenge, she’s accepting entries until midnight (MDT) on Monday, April 26. Click HERE for more details! We try not to, but sometimes we get so focused on publishing our magazines that we lose sight of the final product once it’s “out there.” We’re so used to Christmas in July and Mother’s Day in December that we’re always well on our way to the next inspiring issue. That wasn’t the case with Go-to Sketches. From the very first moment we sat down to discuss the concept, we were giddy with anticipation. 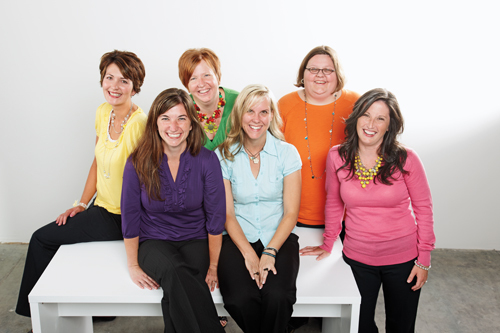 It all came together so perfectly, including the photo shoot that coincided with our annual editorial board meeting. As Paper Crafts Go-to Gal Teri Anderson said, it was an instant connection for our newly-minted Go-to Gals even though they had never been all together as a group before. Oh, the laughter! The teasing! And, of course, the primping. 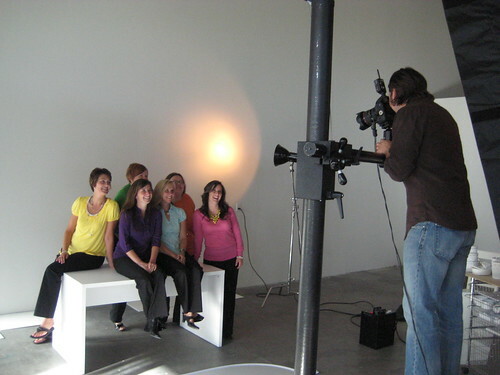 Since these six lovely ladies had to pose not only for their official headshots (the black and whites we use here and in the magazine), but also the colorful opener shots AND group shot for Go-to Sketches, you can only imagine the quick changes and hair brushing going on. 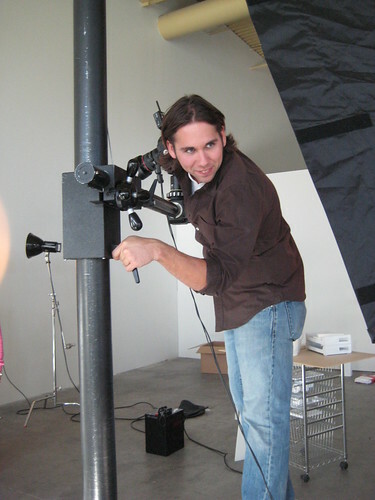 Brian takes a test shot and looks back at the monitor to check the lighting. Luckily, our intrepid photographer Brian Smith of BPD Studios is not only talented but a really good sport. He and Matt are the Dynamic Duo of girly stuff whenever a Paper Crafts issue heads for the studio. It might even bring out the best in him, but he’ll never admit it…right, Brian? Hee hee! He definitely brought out the best in our Go-to Gals, though. One of many attempts at a group shot. Can't you just hear the laughter? Then it was on to the individual shots for the section opening pages. Not only were there six boisterous Go-to Gals in the studio, there was also an audience of editors to help keep things lively. Is it any wonder there are dozens of outtakes for each one of these shots? And here’s your insider secret for the day: although the final shots in the issue are just beautiful and appear effortless, each one was meticulously arranged and checked on the monitor. 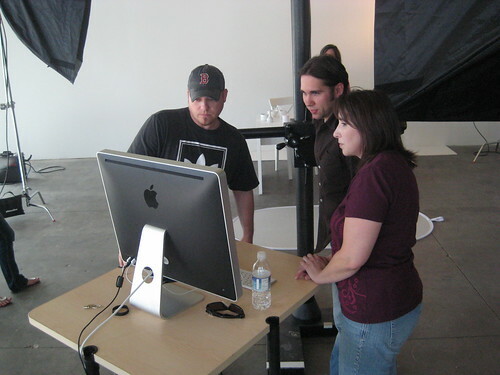 Matt, Brian and stylist Claudia Daniels check the all-white set on the monitor. It was only after their shots were complete that the Go-to Gals remembered to have a quick bite to eat. After all, we literally whisked them straight from the airport right to the studio and then ordered them to smile pretty. Maren, is that a little lettuce between your teeth? Just kidding! This has truly been a fun and fulfilling journey bringing this very special issue from early concept last August to the newsstand a few weeks ago. Your other insider secret for the day: we’ve got something else up our collective sleeves for later this summer, so you might want to hang around and find out more. Shhhhhhhh. Don’t tell anyone, though. I’m sending heartfelt thanks to our fantastic group of Go-to Gals for making this week so much fun with all the blog hopping and exclusive new projects using some of the sketches from this issue, because we sure couldn’t have done this without the group effort. You ladies are the very best! And since our readers are the very best, too, I’ve got three more copies of Go-to Sketches to give away! Leave a comment telling me your favorite aspect of this promotional week (so far!). All comments must be received by midnight (MDT) on Friday, April 9. P.S. The fun is just beginning! 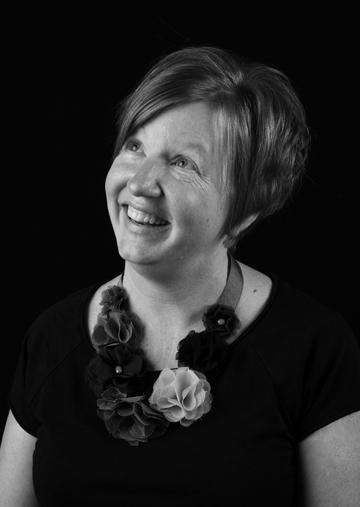 Hop over to Moxie Fab World as Cath talks about stretching a sketch to suit different styles, purposes, occasions, holidays, gender, age, etc. And the Go-to Gals each take a single sketch and turn it six different ways to create six unique new projects! If you’re lucky enough to already own a copy of the new Paper Crafts Go-to Sketches, then you know exactly what I’m talking about when I say “over the top inspiration”. I was totally “wowed” just by looking at the gorgeous cover! Well, that’s nothing compared to my delight in every single page of this very special issue. Gasp, grin and giggle pretty much describe my reaction. Then, it was off to my scrap room to act on all that inspiration. Not only are sketches fun and easy to use, they are also super versatile. Let me show you. First, I picked out this simple sketch (I love the scallops). 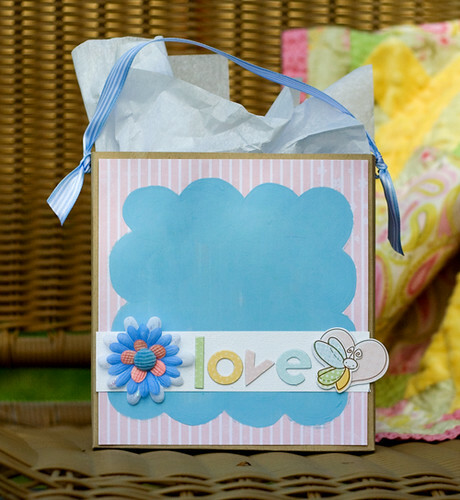 I have a sister-in-law who recently had a baby, so I wanted to make a small gift bag. I thought this sketch would be perfect for a baby theme. Since I had a specific size to work with, I chose to paint a scalloped square directly on my patterned paper. 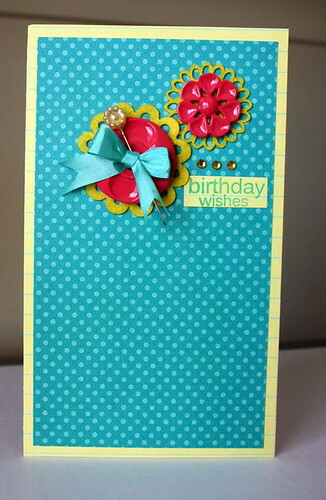 Then, I simply added a cardstock strip, flower and stickers. I love how it turned out. 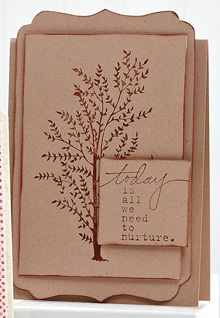 Of course, sketches are perfect for cards, too. 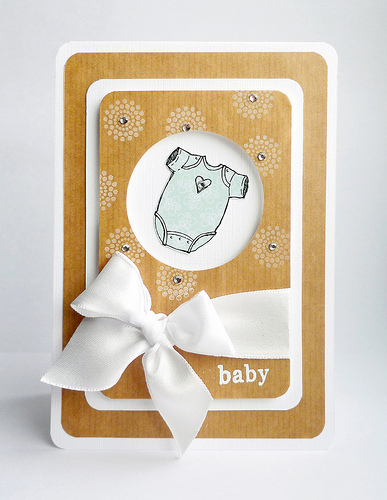 I’m feeling the love for the baby stuff now, so I continue on and made a baby card. This time I turned the sketch upside down for a little different look. I freehand cut my scallops and added a little paint swoosh here and there. A ribbon tie and a few small accents are all I needed to finish this little cutie. 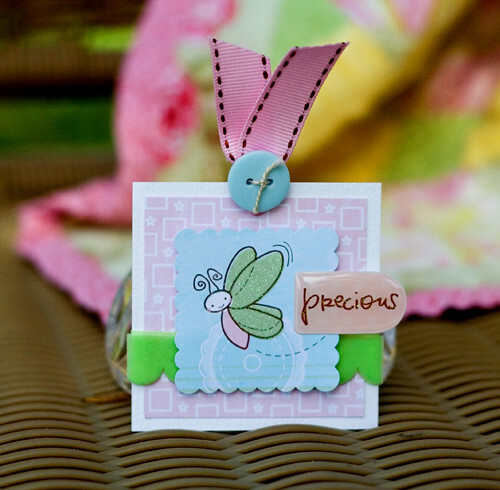 Why not round it out by making a little tag, too? I love having a few tags in my stash to tuck into small gifts. 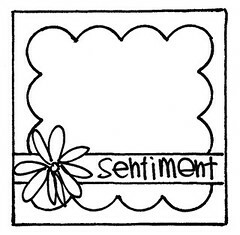 I kept pretty true to the sketch by making my tag a square; then, I used a scalloped square punch, two little pieces of ribbon and an epoxy for my sentiment. This was super fast and easy to create! Now, I know you really want a chance to win a copy of this new special issue – am I right? 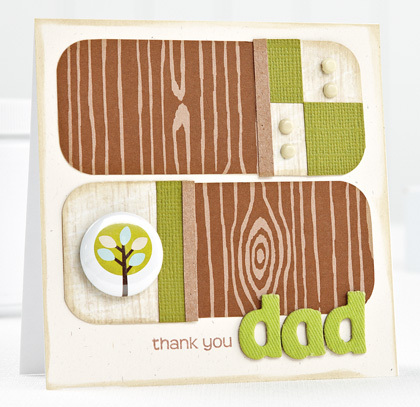 All you have to do is leave me a comment and tell me about the last time you paper crafted a NON-card project. What did you create? Scrapbook pages, home décor, a gift bag? You have until midnight (MDT) on Thursday, April 8 to leave a comment and be entered to win one of three copies! P.S. 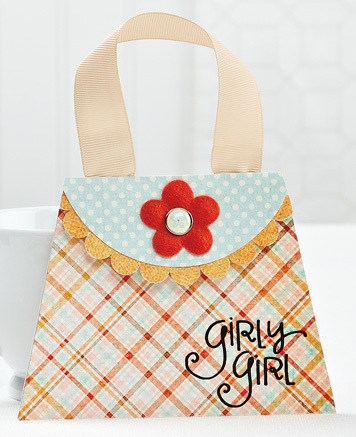 Some of the other Go-to Gals are making a bag, a tag and a card from this very same sketch! Make sure you visit their blogs to see their interpretations. 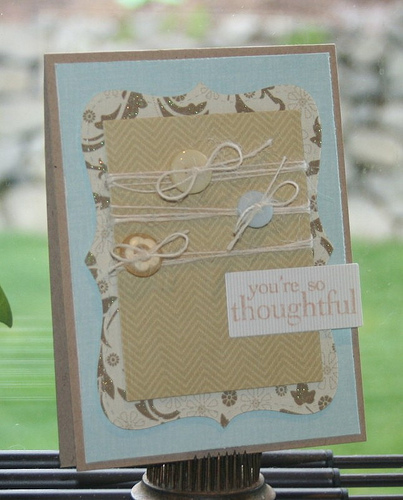 And I hear Cath is hosting her Go-to Sketch Challenge on Moxie Fab World today. Feel like getting sketchy? Hop on over to see the fun! P.P.S. It’s time to announce the three winners from Kelly’s Go-to Sketches Photo Shoot post! Congrats, ladies! You’ve each won a copy of Go-to Sketches! Kelly will be contacting you shortly to get your mailing addresses. Thanks to all who left comments! Who’s ready for some fun? I’m always up for a good time, and I know you are, too, so let’s get this party rollin’! Since Go-to Sketches is all about gaining inspiration from a sketch, the Go-to Gals have not only posted the sketches from which these cards were created, but they’ve got a brand new project created just for you based on the same sketch. AND, they’ve asked five of their friends to do the same thing! …then click on the five links of each of their friends. Visit all the blogs, gain a TON of inspiration and leave a comment on each blog for a chance to win one of three copies of Go-to Sketches. If you do the math as I have, that gives you 37 chances to win! As in, leave a comment here + 6 comments on the Go-to Gals’ blogs + 30 comments on their friends’ blogs = 37 big chances! The comment-to-win ends at midnight (MDT) on Wednesday, April 7, so you better get hoppin’! Welcome to Magazine Monday! Today we’re kicking off our exciting Go-to Sketches Week here, on Moxie Fab World and each of our Paper Crafts Go-to Gals’ blogs. All week long we’ll be taking you inside the pages of our new special issue Go-to Sketches. We started with 66 sketches and then let our designers go to work in creating 282 unique projects. Who knew one sketch could have so many possibilities? We were blown away by all of the different interpretations and couldn’t wait to share them with all of you! 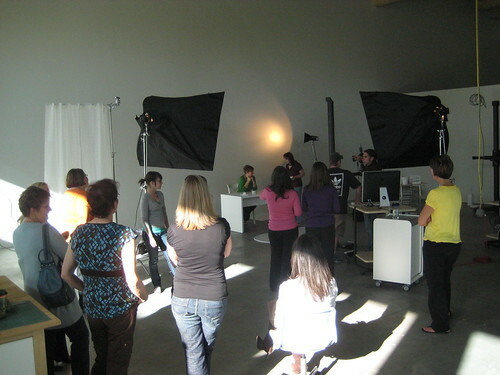 Today we’re going behind the scenes of one very “colorful” photo shoot. By now you probably know we work 6-7 months in advance. Hence our current call for submissions for Holiday Cards & More, Volume 5. So because of this strict production schedule, it was last September that we were concepting Go-to Sketches. Fortunately, our yearly editorial board meeting just happened to fall around this time. With our six Go-to Gals flying in for the meeting, we decided to make the most of our 48 hours together and threw in a photo shoot. I think this is my favorite picture from the photo shoot. 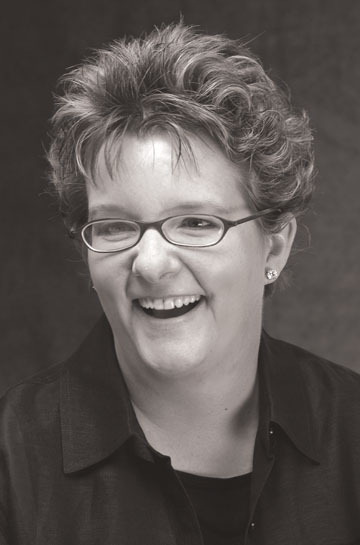 But I love Kim Kesti's laugh in this one! And the cute playfulness of this one! I think they like each other! Wanna win a copy of Go-to Sketches? Go visit their blogs and then come back here to tell me your favorite juicy detail revealed. From your comments, I’ll pick three people to win a copy of Go-to Sketches! 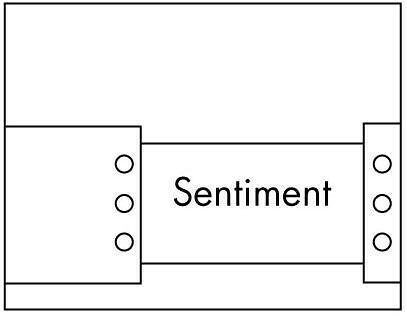 All comments must be received by midnight (MDT) on Tuesday, April 6. 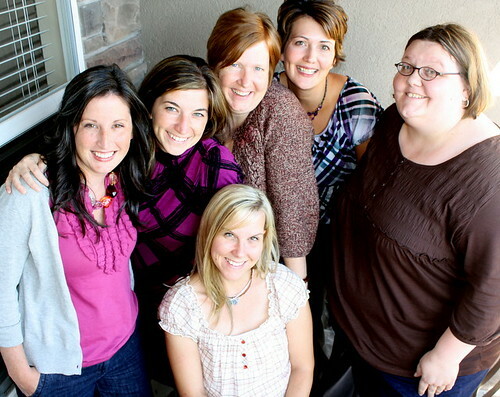 And check back with us tomorrow when Cath announces the Go-to Gals & Friends Blog Hop. 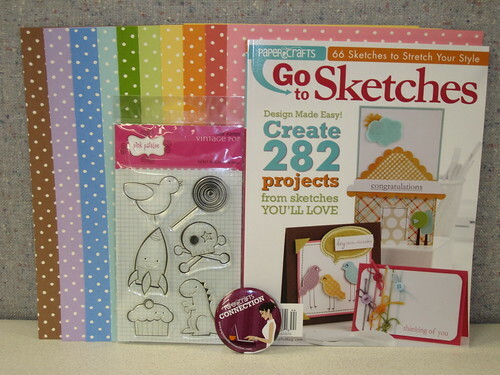 There will be lots of inspiration and lots of chances to win more copies of Go-to Sketches! P.S. We just launched our April Gallery Challenge! Since diamonds are a girl’s best friend, we want to see your projects that incorporate bling, glitter and anything else that sparkles. For inspiration, please turn to the “Shimmer & Shine” feature in our March/April 2010 issue. This two-week challenge will run through midnight (MDT) on Monday, April 19. Click HERE for all the details! And don’t forget…today is the last day to enter our Go-to Sketch Challenge #1! All entries must be submitted by midnight (MDT) tonight! P.P.S. It’s time to announce the three winners from my Countdown to Go-to Sketches Week post! Congrats, winners! You’ve each won some fun goodies from the Easter Bunny! I’ll be contacting you shortly to get your mailing addresses. Thanks to all who left comments! Welcome to Freebie Friday! Hopefully you’ve heard a few good things about our new special issue Go-to Sketches. If you’re still curious about what this magazine is all about, it’s essentially 162 pages spotlighting 282 projects, inspired by 66 sketches. Got that? To add to all that fun, each Paper Crafts Go-to Gal has their own section (complete with a one-page introduction!) that features projects made from each of their 11 new sketches. And as Matt pointed out yesterday, the fun part about creating this issue was shooting everything on white. The result: 282 projects and 66 sketches that “pop” off the page! So are you ready for Go-to Sketches Week? Once again we’re partnering with creative editor Cath Edvalson and her Moxie Fab World blog to bring you five days of sketch-filled fun. In addition, because our Go-to Gals are featured so prominently in this issue, all six of them will be involved in our very special promotional week. I’d love to spill the beans, but I’m sworn to secrecy! It’s going to be THAT cool! In honor of Easter this weekend, I thought I would share a “hoppy” project from the pages of Go-to Sketches. The talented Heidi Van Laar created this adorable Easter Basket Card from one of Betsy Veldman’s sketches. 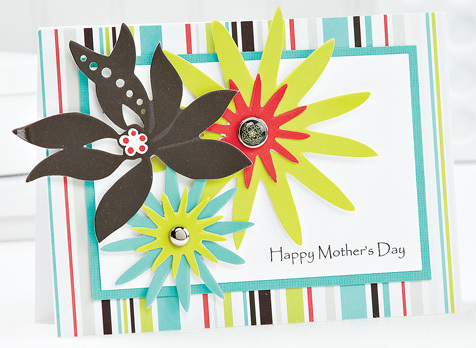 To download the pattern for this card, please click HERE. 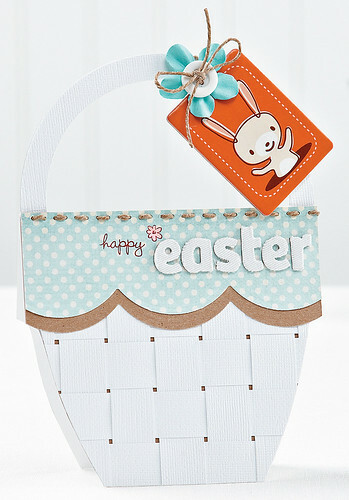 Heidi Van Laar's Easter Basket Card can be found on p. 114. Isn’t that just about the cutest thing you’ve ever seen? And because I believe grown-ups should have Easter baskets too, I’ve got a few goodies to put in yours! Leave a comment telling me your favorite Easter candy and I’ll pick three winners to receive a fun paper collection from A Muse Artstamps, Pink Paislee’s Vintage Pop stamp set, a Paper Crafts Connection button AND a copy of Go-to Sketches! The Easter Bunny is feeling very generous this year! All comments must be received by midnight (MDT) on Sunday, April 4. P.S. Between now and Sunday, April 4, you can purchase Go-to Sketches through our online store and save 20%! Click HERE to buy your copy! Hello, friends! It’s been awhile since you last heard from me. 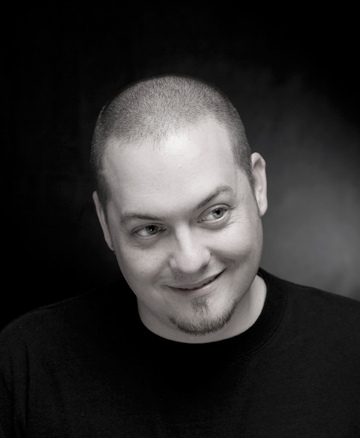 (I’ve been a little busy with my new role as art director, teaching design classes at a local college and coaching my son’s football team). 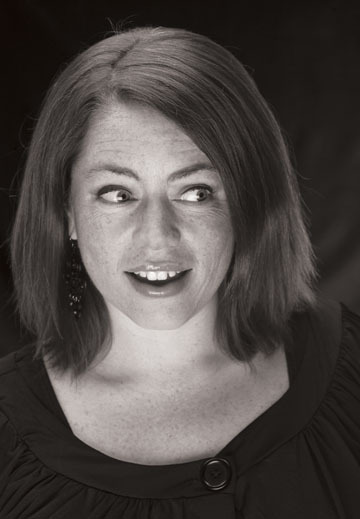 So when Kelly suggested it was time for me to blog again, I told her it had to be something I was passionate about. 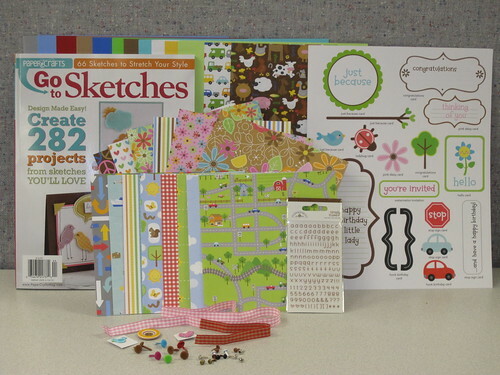 First, let me just say that Go-to Sketches is a must have for any paper crafter. It’s full of useful tips, creative sketches, big color images and personal quotes from all our Paper Crafts Go-to Gals. Plus, it was a lot of fun to create, which I had a little something to do with. My white props played a subtle role in this graphic cover. My concept was to go clean, simple and basic with everything shot on white. I wanted the projects and their colors to “pop” off the page. The projects, sketches and our Go-to Gals themselves were the highlight of this issue, and I wanted them to shine respectively. The idea to shoot everything on white was simple as far as thought processes goes, and it worked really well. So well in fact that I’ve started integrating this white on white look into the columns and departments of our regular Paper Crafts issues. The fun part in creating this special issue and our very first edition of Go-to Sketches, was the preparation – even though it was a lot more extra work. 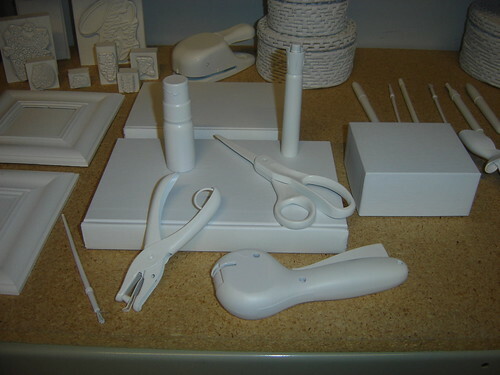 I took older props and paper crafting tools from our resource room and spray painted them white, along with my arms, fingers, shoes and pants. 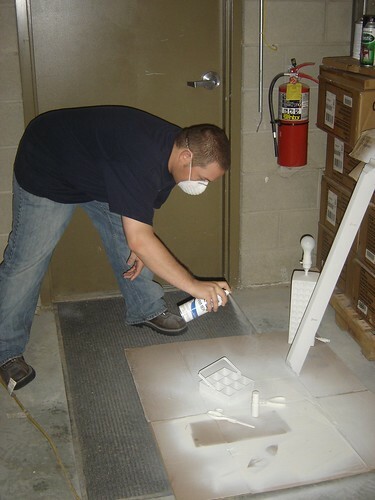 Can you see the fine dusting of white paint on my shoes? When I was done painting, this was our arsenal of props for this issue. This issue is priceless when it comes to resource and shelf value. Trust me ladies…you’re going to want to run out and get this one! If you already have it, I’d love to hear what you think of the overall design. My humble ego could use some positive reinforcement. Editor’s Note: That cheeky Kelly added that last line just to make fun of me. It’s not easy pleasing this all-female team! Magazine Monday – March Gallery Challenge Winners! Welcome to Magazine Monday! Hopefully little traces of spring are popping up in your corner of the world. April is almost here! Normally we spotlight our Gallery Challenge winners on the first Monday of the month, but next Monday, April 5, we’re kicking off our highly anticipated Go-To Sketches Week! 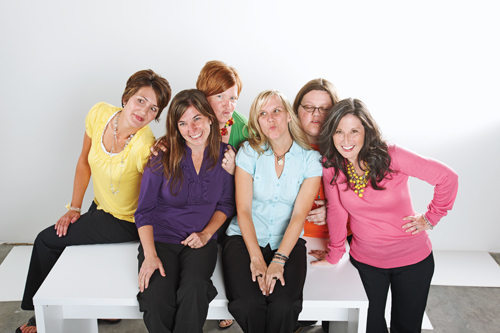 Expect a ton a fun here, on Moxie Fab World and each of our Go-to Gals’ blogs. But before visions of sketches dance through our heads, let’s pay tribute to our three March Gallery Challenge winners. These three ladies reminded us how sweet it is to welcome a new little one or congratulate the happy couple. We fell in love with Aga's sweet Onesie Baby Card. 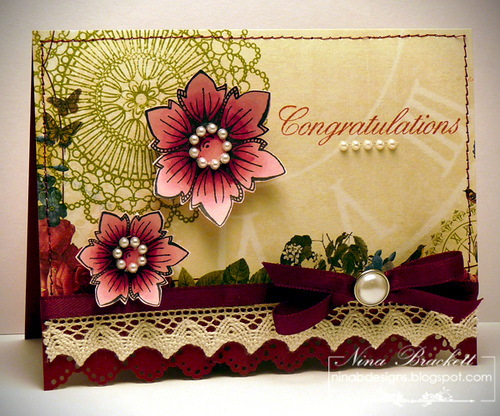 And what couple wouldn't love to receive Nina Brackett's Congratulations Card. 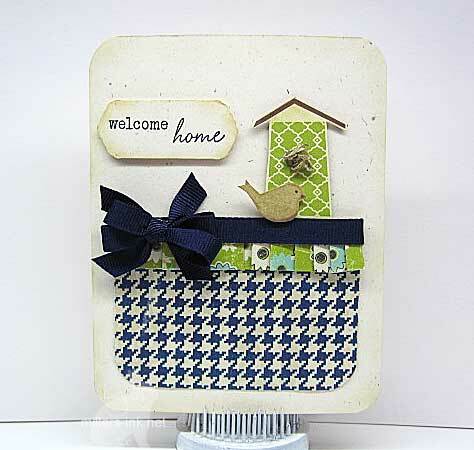 Lynn Miller's cute Welcome Home Card could double as a baby or wedding card. Congratulations, ladies! Each of you has won either a one-year subscription to Paper Crafts or the special issue of your choice. I’ll be contacting you shortly to discuss your prizes. If you’re interested in seeing all the baby and wedding-themed projects from the March challenge, please visit our gallery HERE. Wanna join the fun and participate in our next challenge? We just launched our Go-to Sketch Challenge last Monday. This two-week challenge will run through midnight (MDT) on Monday, April 5. We’ll also announce the theme for our April Gallery Challenge next Monday, so stay tuned for more details. P.S. It’s time to announce the winner from Betsy’s Playing Dress Up post, the winner from Susan’s Happy Little Easter Eggs ala Kim Kesti post and the three winners from my Marvelous Markers post! Congrats, ladies! I’ll be contacting you shortly to discuss your prizes and get your mailing addresses. Thanks to all who left comments!